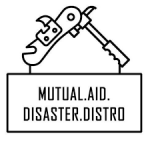 This week we had the chance to talk to Sascha, who is a community organizer in the triangle area of North Carolina, about ongoing organizing to help rebuild and continue to aid folks after the multiple hurricanes recently hit this region. This interview went in directions that we couldn’t have predicted, and really went on a deep dive of how to conceptualize of disaster relief in our changing climate, in addition to more practical topics. We hope you enjoy it! To get in touch with the project that our guest is talking about, and if you have extra monie$ to spare, you can visit maddistronc.org for ways to donate or drop by to 800 Henderson Street in Durham if you’re in the area. 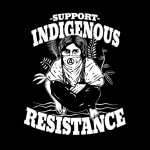 To hear the interview that we referenced about halfway through, you can go to our website and search “Indigenous Activist”, it should be the first item in the search results. You can also hear a 10 minute edit of this interview with Vanessa on how to be better accomplices to Lumbee folks in Lumberton NC in the October episode of B(A)D News, Angry Voices From Around the World which you can find both at our website or at aradio.blogsport.de. 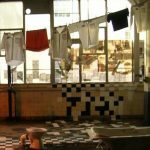 B(A)D News is a monthly news collaboration between projects in the A-Radio Network, which includes anarchist radio from Chile, various places in Eastern and Western Europe, and right here on Turtle Island. Keep your eyes peeled to our feed for when this show updates! 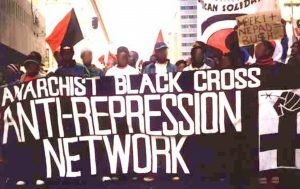 If you’re in the Asheville area this week, Blue Ridge Anarchist Black Cross has two upcoming events. On Friday, November 2nd at 6:30pm at Firestorm Books & Coffee, BRABC will be airing the latest episode of Trouble, the mini-documentary series by sub.Media. This month’s episode is focused on the J20 inauguration conspiracy case that ended some months back. This’ll be followed by a brief chat about the film and the case. This event happens the same time, same place, on the first Friday of every month and is a great way to start of your weekend. On Sunday, November 4th at 5pm, just a little after next week’s episode of our show of this show, BRABC will also be hosting their monthly Political Prisoner letter writing night at, you guessed it, Firestorm! ABC will be bringing info on prisoners whose birthdays are upcoming or who are facing repression or coming up on parole, will provide the materials and a friendly atmosphere and help in writing letters to prisoners. If you’ve ever thought of writing someone in prison before but been overwhelmed by the prospect of it, this is a great way to get started. Yesterday, on Saturday October 27th during shabbat services, a gunman with white nationalist ties named Robert D. Bowers, entered the Tree of Life Congregation Synagogue in Pittsburgh, PA, and killed 11 congregants while wielding an AR-15 and two handguns, injuring 3 more congregants. These are just two recent examples of white rage acting out against others, a visible trend and not out of sync with the settler-colonial and anti-black violence of the United States, yet undeniably horrendous. The victims families are in our hearts, as are all of the many unmentioned victims of reactionary violence. On this note, we’re including a couple of anti-racist announcements folks can join in on if they care to. Atlanta Antifascists are asking folks to contact Atlanta’s John Marshall Law School about one of it’s students, Casey Jordan Cooper. Cooper has made explicit lynching threats against black students, has organized Alt-Right efforts around the school and has documented connections to white nationalists like Sam Dickson. Alongside a bunch of really amazing research that AFAinATL has done, you can find more about Casey Jordan Cooper, including a video and 500+ page dossier on him, the request for a call-in on Monday, October 29th to the University and a script up at atlantaantifa.org. We don’t need anymore nazi lawyers and this school should be ashamed to continue to hold Cooper as a student considering it’s lip service to the importance of it’s students providing non-prejudicial service to their clients. A big ups to comrades in WNC who, very carefully and soberly, infiltrated a new chapter of the white nationalist grouping Patriot Front and were able to disrupt their activities during an attempted banner drop. This sort of high level of engagement is dangerous and not to be taken lightly, but can be quite effective at gaining intelligence on the enemy and ruining their days. More info on this can be found on this IGD post! In prisoner news, two affiliates of the New Afrikan Black Panther Party Prison Chapter are in the news. Keith “Malik” Washington, whose supporters we’ve had on the show before, shared that he’s on a hunger strike at the McConnell Administrative Segregation Unit in protest against his continued repression and repeated medical endangerment. More info can be found at comrademalike.com. Also Kevin “Rashid” Johnson who we spoke to in September. He has been refused medical aid by guards at Sussex II, denied the ability to send or receive mail, including legal mail. He has been threatened with dogs while chained up, kept in his cell 24/7 and other terrible circumstances. Visit rashidmod.com for more details and the numbers and officials that you can call to protest on his behalf. 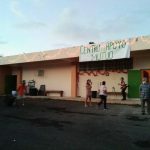 This week I had the chance to speak to Ricchi, who is a Puerto Rican anarchist, about an autonomous squatted community center in Borique called Valle Garita. In this episode, we talk about the squatted space and the intentions of the organizers, plus the cultural context of squatting, reactions of the police, landlord, and bank, and some concrete asks for solidarity and support from non locals. We end the show with a brief report back and analysis of what went down on May Day in San Juan and all over Puerto Rico, so stay tuned for that! On the social media, you can follow the Valle Garita squat by following @vallegarita or following that same hashtag, you can also search for them on Facebook. You can also follow Urbe Apie on Instagram @urbeapie. Letters can be written in Spanish, English, or any other language! Shoutout to Nutty, Red, and Minor, and all those who are protecting and defending the land and water from predatory corporate pipelines! For regular listeners of The Final Straw, the sound quality might not be what you are used to from us. We are continuing to experiment with our audio set ups, please bear with us through these experiments! Rest in power, Josh. You will be missed. From nomoredeaths.org: “On January 17, Scott Warren – a humanitarian aid provider from the group No More Deaths – and two individuals receiving humanitarian aid were arrested by US Border Patrol. Scott was preliminarily charged with felony harboring and could face five years in prison. The arrests took place just 8 hours after No More Deaths released a video of Border Patrol agents destroying water gallons and aid supplies, and a report which concludes that Border Patrol plays a significant role in the destruction of humanitarian aid. 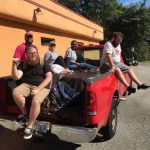 We are well into our preparation for the next Another Carolina Anarchist Bookfair, happening June 22nd-24th, and we want to invite you to participate in shaping the themes and helping gear up for this exciting weekend! If you have other ideas, we welcome your input! If you can’t make the meeting, we’ve made an online signup sheet which you can find here.